I, the participant, represent and warrant that I have no physical or mental condition, chronic ailment ,or injury that may prevent a safe skydive. I have never been diagnosed without treatment for any of the following conditions: fainting spells or convulsions, nervous system disorders, mental illness or depression, kidney problems or related diseases, high or low blood pressure, diabetes, or any other disability or conditon that may affect my ability to participate in skydiving, parachuting, flying, or other related activities. I will bring a doctor's release for participation in skydiving if I feel any physical or mental condiations I have might affect my safety and/or health during my skydive. If you are unsure whether you need a doctor's release or not, you should contact your doctor and get a release. We are not doctors and cannot give medical advices to any participants. WARNING! >> SKYDIVING, PARACHUTING, FLYING AND ALL RELATED ACTIVITIES ARE DANGEROUS AND THERE ARE SIGNIFICANT RISKS INVOLVED WITH YOUR PARTICIPATION. YOU CAN BE SERIOUSLY INJURED OR EVEN KILLED BY PARTICIPATION IN SKYDIVING, PARACHUTING, FLYING AND ALL RELATED ACTIVITIES. EACH INDIVIDUAL PARTICIPANT, REGARDLESS OF EXPERIENCE, HAS THE SOLE AND FINAL RESPONSIBILITY FOR HIS/HER OWN SAFETY. I FURTHER UNDERSTAND THERE IS NO LIABILITY INSURANCE AVAILABLE FOR SKYDIVING, PARACHUTING, FLYING AND ALL RELATED ACTIVITIES AS DEFINED IN THIS DOCUMENT AND ANY/ALL OTHER DOCUMENTS I MAY SIGN. I will not be under the influence of alcohol in any form. I will not ingest any illegal substances in the 48 hours prior to my skydive. I will not take any prescription or non-prescription medicine that may affect my judgment or my ability to perform. I agree not to skydive under the influence of alcohol or any other drugs. I have read the attached Agreement, Release of Liability and Assumption of Risk. I understand that it is a legal contract binding on me. I understand the document in its entirety. I intend to be bound by the document and understand that by signing the document I waive important legal rights. All participants must be at least 18 years old on the day of their jump. All participants must bring a valid government issued photo ID (US driver license or passport (from any country)) when checking in to skydive. Participants must be under the maximum weight for their height according to our chart. The absolute maximum weight is 300 pounds (as weighed on our scale in the attire you will wear on the skydive). Participants between 210 and 239 pounds (still under maximum weight for height according to our chart) will be charged an extra $30. Participants between 240 and 270 pounds (still under maximum weight for height according to our chart) will be charged an extra $50. Participants between 271 to 300lbs (still under max weight for height) charged an extra $80. Weights over 210lbs require extra work and responsibility for instructor, add weight in aircraft (which may mean taking fewer jumpers per flight), and significantly increase wear & tear on equipment. If we feel your physical condition or body shape is not appropriate for skydiving, we will not allow you to jump regardless of weight. Participants may not be under the influence of any alcohol, drugs, or prescription medication that may affect your judgment or limit your ability to perform. If we feel you are under the influence, or not in an appropriate mental state to skydive, we will not allow you to jump. If you have a medical release (from a doctor), it will be fully considered. If weather (or other conditions outside of our control) prevents you from skydiving, you will be allowed to reschedule or receive a refund. If you cancel via email with at least 24 hours notice you may also request a refund. Other financial considerations: A.) If you cannot go through with your skydive before your class, you may return within one year and make another attempt at no charge. B.) If you cannot go through with your skydive after your class, but before you board the aircraft, you may return within one year and make another attempt for a charge of $25.00. C.) If you cannot go through with your skydive after you board the aircraft, you may return within one year to make another attempt for a charge of $100.00. D.) If you throw-up on your instructor or equipment, there is a $30.00 equipment cleaning fee. If you leave the immediate area before your skydive for any reason please let the office personnel know. If you miss your skydive because you cannot hear announcements, you may be charged an additional $40.00 to complete your jump. Skydive Windy City strives to provide a safe family environment, but all children (under 18) must be constantly under direct parental supervision. You and any family/friends (spectators) with you must remain in designated areas unless escorted by dropzone or airport personnel. No pets (of any kind) are allowed on airport property at any time. You must make sure anyone (spectators/family/friends) coming with you does not bring a pet or they may be denied entrance. You may request a specific instructor. Special requests will be honored whenever possible, but may delay your skydive. We strive to schedule and operate efficiently to keep time on site below 3 hours, but it is possible it may take longer, especially if weather prevents skydiving. If you are late, your onsite time may increase significantly, you may have extra charges to complete your skydive (i.e. if we must fly a special flight), or you may not be able to complete your skydive on that day. You may not jump barefoot or in clothing or footwear that is not appropriate for skydiving (you cannot wear sandals, hard-soled shoes or boots, or clothing or footwear with hooks or snag points). Lace-up tennis shoes are required. We do not have a secure place for your valuables. You should leave all valuables in your car or with another member of your party. Feel free to take pictures (with your own camera) on the ground (provided you stay in designated spectator areas). You will not be allowed to skydive with a camera or take it with you in the aircraft. An airport can be a dangerous place; do not from touch climb on any aircraft or equipment without express consent from the skydiving center manager. You only need to complete (you must reply to confirmation email) for one waiver per year. Once you complete this 2019 waiver you may jump as many times as you like in 2019 without completing another waiver. 1. ASSUMPTION OF RISK. I know and understand the scope, nature, and extent of the risks involved in the activities covered by this Agreement. I understand these risks include, but are not limited to: equipment malfunction and/or failure to function; defective and/or negligent design and/or manufacture of equipment; improper and/or negligent parachute packing and/or assembly; improper and/or negligent operation and/or use of the equipment; aircraft malfunction and/or negligent aircraft operation; carelessness and/or negligent instruction and/or supervision. I voluntarily, freely and expressly choose to incur all risks associated with the activities covered by this Agreement, understanding that those risks may include personal injury, damage to property, and/or death. 2. EXEMPTION(S) AND RELEASE FROM LIABILITY. I exempt and release the following persons, corporations, and organizations: Sky Sports, Inc., doing business as Skydive Windy City, any and all equipment manufacturers, vendors, suppliers, repair facilities or repair persons, any and all aircraft owners, any and all pilots with whom it contracts for flying services; the United States Parachute Association (USPA); the City of Michigan City Indiana, the Michigan City Municipal Airport, Michigan City Board of Aviation Commissioners (BOAC): and including all of each person's, corporations, and organization's officers, agents, servants, employees, representatives, lessors; (hereinafter collectively referred to as Releasees), from any and all liability, claims, demands or actions or causes of action whatsoever arising out of any damage, loss or injury to me or my property, or my death, while upon the premises or aircraft or while participating in any of the activities covered by this Agreement, whether resulting from the negligence and/or other fault, either active or passive, of any of Releasees, or from any other cause. 3. COVENANTS NOT TO SUE. I agree never to institute any suit or action at law or otherwise against any of Releasees, or to initiate or assist in the prosecution of any claim for damages or cause of action which I may have by reason of injury to my person or property, or my death, arising from the activities covered by this Agreement, whether caused by the negligence and/or other fault, either active or passive, of any of Releasees, or from any other cause. I further agree that my heirs, executors, administrators, personal representatives, and/or anyone else claiming on my behalf, shall not institute any suit or action at law or otherwise against any of Releasees, nor shall they initiate or assist the prosecution of any claim for damages or cause of action which I, my heirs, executors, administrators, personal representatives, and/or anyone else claiming on my behalf may have by reason of injury to my person or property, or my death, arising from activities covered by this Agreement, whether caused by the negligence and for other fault, either active or passive, of any of Releasees, or from any other cause. I hereby so instruct my heirs, executors, administrators, personal representatives and/or anyone else claiming on my behalf. Should any such suit or action at law or otherwise be instituted against any of Releasees, I agree that such Releasees shall be entitled to recover attorneys' fees and costs incurred in defense of such suit or action, including any appeals there from. 4. INDEMNITY AGAINST THIRD PARTY CLAIMS. I will indemnify, save and hold harmless Releasees from any and all losses, claims, actions, or proceedings of every kind and character, including attorney's fees and expenses, which may be presented or initiated by any other persons or organizations and which arise directly or indirectly from my participation in the activities covered by this Agreement, whether resulting from the negligence and/or other fault, either active or passive, of any of Releasees or from any other cause. 5. VALIDITY OF WAIVER. I understand and agree that if I institute, or anyone on my behalf institutes, any suit or action at law or any claim for damages or cause of action against any of Releasees because of injury to my person or property, or my death, due to the activities covered by this Agreement, this Agreement can and will be used as evidence in court, and that agreements like this one have been upheld in courts in similar circumstances. 6. REPRESENTATIONS AND WARRANTIES. I represent and warrant that (a) I have no physical infirmity, except those listed below, am not under treatment for any other physical infirmity or chronic ailment or injury of any nature, and have never been treated for any of the following: cardiac or pulmonary conditions or disease, diabetes, fainting spells or convulsions, nervous disorder, kidney or related diseases, high or low blood pressure, (b) I am not under any medication of any kind at the present time that may affect my judgment or limit my ability to perform, and (c) If I am prescribed corrective lenses, I agree to wear them during my intentional parachute jump. 7. APPLICABLE LAW/WAIVER OF JURY TRIAL/VENUE/HEADINGS. I agree that the laws of the State of Indiana shall apply to issues involving the construction, interpretation, and validity of this Agreement and that Indiana law shall govern any dispute between the parties arising from the activities contemplated by this Agreement. Should this Agreement be violated and suit be brought against any of Releasees, my right to a jury trial is waived, and LaPorte County, Indiana shall be the venue for any such suit. I agree that the headings and subheadings used throughout this Agreement are for convenience only and have no significance in the interpretation of the body of this Agreement. 9. LIFT RATES / PHOTO RIGHTS I agree to pay the published rates as posted on the website and/or at office for each flight. I agree to allow all photos and/or video taken while at Skydive Windy City to be used by any of Releasees. 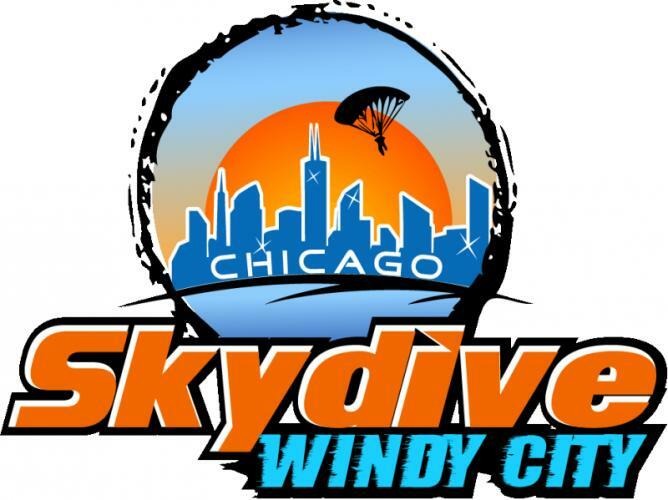 I also agree that Skydive Windy City is open to the public, and any persons on the premises at the time of my skydive may view a live feed from the airplane, watch me skydive, and take personal pictures and/or video that may include me. 10. CONTINUATION OF OBLIGATIONS. I agree and acknowledge that the terms and conditions of this Agreement shall continue in full force and effect now and in the future at all times during which I participate, either directly or indirectly, in the activities covered by this Agreement, and shall be binding upon my heirs, executors, administrators, personal representatives, and/or anyone else claiming on my behalf. This Agreement supersedes and replaces any prior such agreement I have signed. 11. ACKNOWLEDGEMENT. I hereby acknowledge that I have read all of the provisions above and fully understand the terms and conditions expressed therein and agree to be bound by such terms and conditions. 1) Representations, Warranties, & Assumptions of Risk: I understand that parachute jumping will expose me to the risk of personal injury, property damage and/or death. I understand that the success of my jump is dependent upon the perfect functioning of the airplane from which I intend to jump and the parachute system, and that neither the airplane nor the parachute system can be guaranteed to function perfectly. I understand that the airplane and the parachute system are both subject to mechanical malfunctions as well as operator error. I freely, voluntarily and expressly choose to assume all risks inherent in parachute jumping, including, but not limited to, risks of equipment malfunction and/or failure to function, including those which may result from some defect in design, assembly, and/or manufacture as well as those risks arising from improper an/or negligent operation and/or use of the equipment, for and in consideration of the thrill of participation in this activity, understanding full well that those risks may include personal injury, property damage, and/or death. (H) The Toll-Free Skydiving Network, Inc., Uninsured (800) Skydive Leasing Corp., Uninsured (888) Skydive Leasing Corp., Uninsured (877) Skydive Leasing Corp., 1-800 FREEFALL, and any and all other skydiving referral service business entities, and/ or owners of fictitious name entities which I may have used in locating and/or deciding upon a parachuting/skydiving facility or other location at which to perform an intentional parachute jump. From any and all liability, claims, demands or actions or causes of action whatsoever arising out of any damage, loss or injury to me or my property, or my death, whether occurring while I am training and/or preparing for my intentional parachute jump, while I am present in aircraft from which the jump is to be made, while I am making my intentional parachute jump, or while I am engaged in related activities (hereafter referred to as activities covered by this Agreement), whether such loss, damage, injury, or death results from the negligence and/or other fault, either active or passive of any of the persons and/or organizations described in paragraphs 2(A)-(I) above, or from any other cause. 3) Covenant Not to Sue: I agree never to institute any suit or action at law or otherwise against any of the organizations and/ or persons described in paragraph 2(A) through (I) above, or to initiate or assist in the prosecution of any claim for damages or cause of action which I may have by reason of injury to my person or property, or my death, arising from the activities covered by this Agreement, whether caused by the negligence and/or fault, either active or passive, of any of the organizations and/or persons described in paragraph 2(A) through (I) above, or from any other cause. I further expressly agree that I will never raise any claim against any of the organizations and/or persons described in paragraph 2(A) through (I) above for product liability, failure to warn, negligence, breach of warranty, breach of contract, or strict liability, regardless of whether my claims for damages or injuries are alleged to result from the fault or negligence of the parties released. I further agree that my heirs, executors, administrators, personal representatives, and/or anyone else claiming on my behalf, shall not institute any suit or action at law or otherwise against any of the organizations and/or persons described in paragraph 2(A) through (I) above, nor shall they initiate or assist the prosecution of any claim for damages of cause of action which I, my heirs, executors, administrators, personal representatives, and/or anyone else claiming on my behalf may have by reason of injury to my person or property, or my death arises from the activities covered by this Agreement, whether caused by the negligence an/or fault, either active or passive, of any of the organizations and/or persons described in paragraph 2(A) through (I) above, or from any other cause, I hereby so instruct my heirs, executors, administrators, personal representatives, and/or anyone else claiming on my behalf. Should any suit or action at law or otherwise be instituted in violation of this Agreement against any of the organizations and/or persons described in paragraph 2(A) through (I) above, I agree that such organizations and/or persons shall be entitled to recover, in addition to any other damages which may be incurred, reasonable attorneys fees and costs incurred in defense of such suit or action, including any appeals therefrom. 4) Indemnity Against Claims: I will indemnify, defend, save and hold harmless the organizations and/or persons described in paragraph 2(A) through (I) above from any and all losses, claims, actions or proceedings of every kind and character, including attorneys fees and expenses, which may be presented or initiated by any persons and/or organizations and which arise directly or indirectly from my participation in the activities covered by the Agreement, whether resulting from the negligence and/or other fault, either active or passive, or any of the organizations and/or persons described in paragraph 2(A) through (I) above, or from any other cause. 5) Validity of Waiver: I understand that if I institute or anyone on my behalf institutes, any suit or action at law or any claim for damages or cause of action against any of the organizations and/ or persons described in paragraph 2(A) through (I) above because of injury to my person or property, or my death, due to the activities covered by this Agreement, this Agreement can and will be used in court, and that such agreements have been upheld in courts in similar circumstances. 6) Representations and Warranties as to Medical Condition: I represent and warrant that (a) I have no physical infirmity, except those listed below, am not under treatment for any other physical infirmity or chronic ailment or injury of any nature, and have never been treated for any other of the following: cardiac or pulmonary conditions or diseases, diabetes, fainting spells or convulsions, nervous disorder, kidney or related diseases, high or low blood pressure; (b) I am not under any medication of any kind at the present time that may affect my judgment or limit my ability to perform; and (c) If I am prescribed corrective lenses, I agree to wear them during my intentional parachute jump. 10) Viewing of Video: I have viewed and fully understand the Tandem Vector Waiver video prior to making my tandem skydive (the video you watched at the beginning of this waiver). Email address: Enter a valid email address below (you are required to respond to confirmation email). This email address will be used to deliver your video and/or pictures, so make sure you have access to it. Please be careful, any changes to or errors in email address may result in extra charges (i.e. changing address, misspelling). We will never sell or distribute your email address. I am 18 years of age or older today. If you answered yes to either of the questions above, list any conditions that may prevent you from making a safe skydive. By checking here, you are consenting to the use of your electronic signature in lieu of an original signature on paper. You have the right to request that you sign a paper copy instead (for an extra charge). By checking here, you are waiving that right. After consent, you may, upon written request to us, obtain a paper copy of an electronic record. A fee may be charged for such copy and no special hardware or software is required to view it. Your agreement to use an electronic signature with us for any documents will continue until such time as you notify us in writing that you no longer wish to use an electronic signature. There is no penalty for withdrawing your consent. You should always make sure that we have a current email address in order to contact you regarding any changes, if necessary.<br> An email will be sent to the address you provided after completing this waiver. You must verify that email address by following instructions contained in that email.